No matter if you’re looking for an advanced album-production, the recording of single elements, such as overdubs, support for your demo or voice recording – we’re experienced in any field of music and audio recording and bring all our enthusiasm and years of experience as well as tons of musical craftsmanship and artistry to the table. Every artistic undertaking comes with its own needs, therefor we will create unique recording conditions for each individual project. Wether you want to put the whole band into one room and do live-takes, play as a whole band but put the amps into a different space or record one thing after another, here at Liquid-Studio we will provide you with whatever you wish for. We have a wide-spread network consisting of divers musicians and artists if you want to hire additional musicians. So, if you’re looking for a professional tuning of your drum set, a string quartet, a choir or background singers – we will supply the necessary artistic resources. On top of that we can cooperate with you to create and notate any arrangement you wish for. No matter if you recorded here at Liquid-Studio or elsewhere, we will edit and mix any recording with physical precision and musical taste. Editing means that any unnecessary or distorting signal is eliminated and that the material is optimized due to musical, physical and aesthetic criteria. Timing and intonation are inspected and, if needed, adjusted. 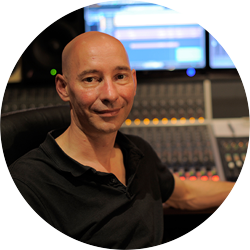 Mixing on the other hand is all about volume, frequencies, dynamics, panning and the creation of a soundscape or, to put it short, about the recording sounding the way it should – bigger than life. To make your recording sound even better we can give it an analogue finish thanks to our large analogue console. We provide mastering for CD, Vinyl and/or online releases. Mastering is the last step of the production process and a highly sensitive process. With our state-of-the-art analogue and digital tools we will carefully perfect the stereo mix or steems. Brilliant, warm, transparent and with an optimized volume the DDP-MASTER can be sent directly to the CD press-shop or put onto a Master-CD. If needed, you can profit from our various contacts with press-shops, designers, etc. If told in advance we will have a backline ready for your recordings. Among our equipment there’s a excellent drum set, especially built for recording purposes as well as a variety of guitars and percussions. For more information feel free to contact us. Wether you need help concerning GEMA, pressing and distribution, labelcodes, bandpics, musicvideos or coverdesign: We have a vast network and are happy to get you in contact with the right people. In order to give the best offer possible, we estimate the price of each project individually. Please feel free to contact us with a description of your vision, the more detailed the better.